Facebook is bolstering its ad targeting capabilities, as the social network has just launched bandwidth targeting to allow advertisers to reach people based on network connection. 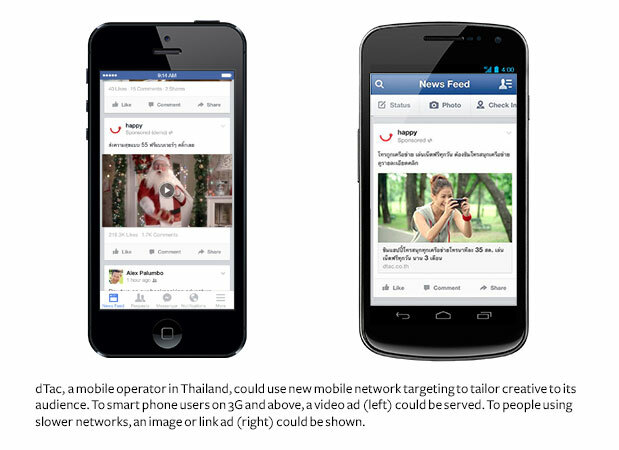 While Facebook already offers the ability to reach people based on the type of device they use, device model and operating system, the social network will now allow advertisers to reach people based on network connection including 2G, 3G or 4G. This new capability will allow advertisers to better segment consumers and create better ad experiences. Facebook notes that paying attention to the details of how people connect can also help advertisers create better performing and more relevant localized campaigns. For instance, if a device manufacturer wants to target people who are ready to upgrade their phone, the manufacturer could target an audience of people that use feature phones and are accessing a slower network. Bandwidth targeting is available to all advertisers via the Ad Create tool, Power Editor and the API. According to Facebook, this new capability should improve the experience people have with Facebook ads, as it allows advertisers to better optimize the ads they deliver to consumers.